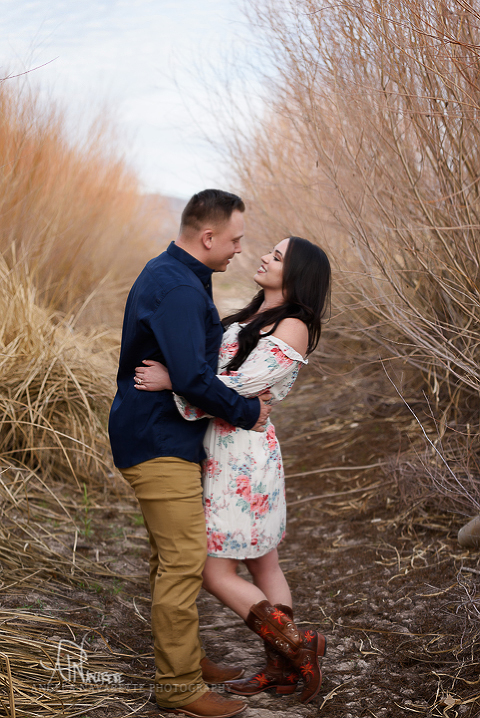 Couples Portrait Sessions take all kinds of twists and turns when the photographer makes clients jump into an arroyo! a steep-sided gully cut by running water in an arid or semiarid region. 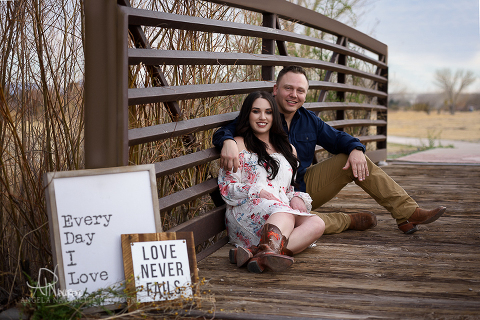 Plano senior pictures photographer heads to El Paso for both high school senior and couples portrait sessions. Oh, we had such a great time. I enjoy making people smile and laugh, no, I LIVE for it, I really do. These gorgeous people were laughing their booties off and when I think about it now, I can’t help but chuckle. I hope to leave my clients feeling good about themselves and the time they spend with me during their shoots because it should be nothing but fun. No pressure here, just let me make you feel a little awkward at first and then show you how fabulous you look doing it. Haha! 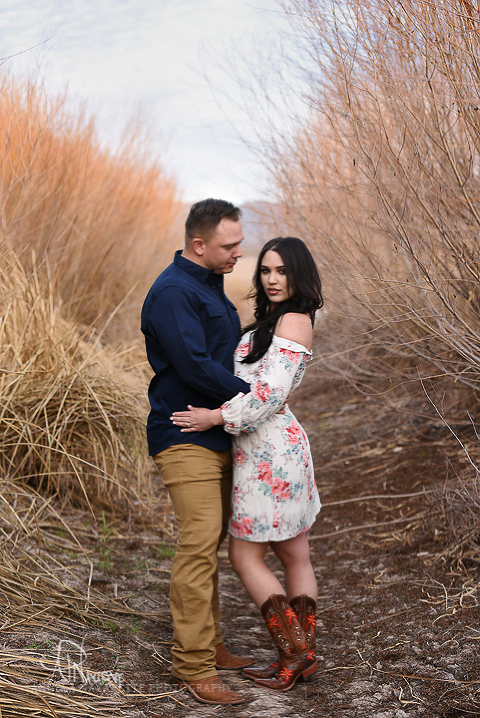 So needing to get down into the arroyo, our strong military man, Cody, helped his lovely bride-to-be down and out by casually lifting her up. You know his bride-to-be, Courtney has to love it. What girl doesn’t love getting swept off her feet? I’m gonna make an honest woman out of you. 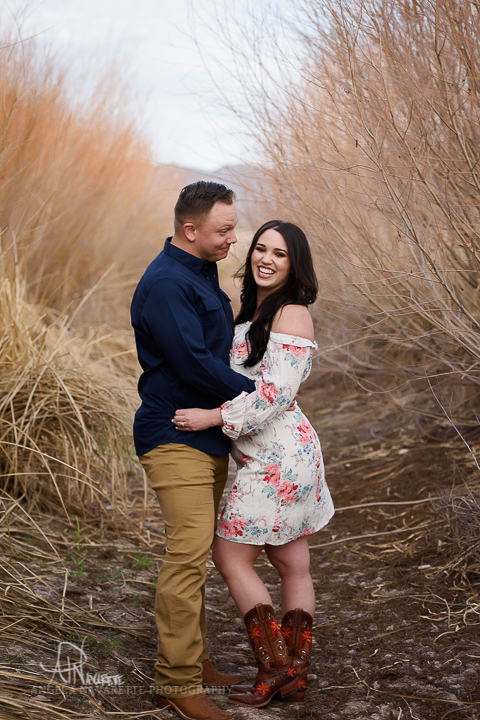 What did our photographer say? Embracing and laughing. 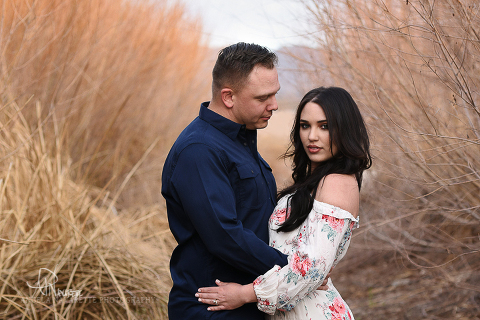 An arroyo is the perfect spot for couples portrait sessions with surrounding beautiful tall grasses, the Franklin Mountains in the background and the sun setting just perfectly behind us for gorgeous lighting. These memories are going to to make beautiful family pictures in their home. Of course, they came with some of their own awesome photo ideas! I always try to incorporate your vision into the photo session because it is a collaboration between us. They brought props to show the date of the big day, some themes, and the roses for he brought for her. At sunset in El Paso’s upper valley with the Franklin Mountains in the background. Aren’t they a gorgeous couple? Here’s to sharing a lifetime of growing in love together! Want to see more? 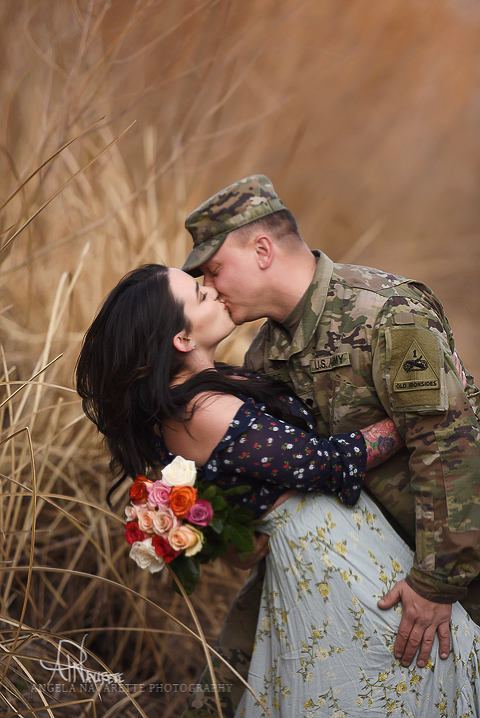 Do you have an engagement or would you like beautiful portraits? 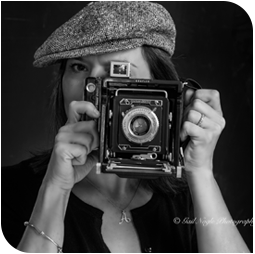 Schedule a session today!